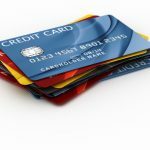 Today marks the second installment of the weekly Saturday look at current credit card offers from major issuers. This series is designed to highlight the features and offers that you might be most interested in. Today, we’ll be reviewing current Chase Bank credit card offers, including several which feature Chase Blueprint, which was ranked as the Most Innovative New Program of 2009 by CardRatings.com (see below for a description of Chase Blueprint). Chase Sapphire Card is a no annual fee rewards credit card which has a limited time offer 10, 000 bonus points after you spend $500 on purchases in the first 3 months from account opening – whenyou redeem through Chase Ultimate Rewards that’s $100 toward travel rewards. You also earn 1 point for every dollar you spend. There’s also 2 points per dollar spent on dining at restaurants. There is no annual fee for the Chase Sapphire Card. The card also comes with zero liability for unauthorized purchases, and purchase protection which replaces, repairs, or reimburses items within 90 days from date of purchase for eligible reasons. You can purchase flights with both point and dollar values so you can choose how many points you want to use and pay for the rest in cash. Chase Sapphire features Chase Blueprint. Chase Sapphire Preferred is similar to the Chase Sapphire Card in that it is a rewards card in which you earn points for everyday purchases. 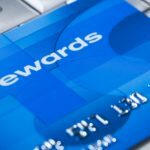 Instead of the 10, 000 bonus points offered with the Chase Sapphire Card, with the Preferred card you can start with 40, 000 bonus points after you spend $3, 000 on purchases in the first 3 months from account opening – that’s worth $500 toward travel rewards when you redeem through Chase Ultimate Rewards. There is also an introductory annual fee of $0 the first year, then $95 . Chase Sapphire Preferred features Chase Blueprint. However, it lacks a reward program and, aside from perhaps a slick design and name, after a quick review of terms I couldn’t immediately see why someone might pick Slate® over Chase Freedom. But, upon closer look, one reason might be in the details — namely, that Slate® $0 introductory balance transfer fee. If you transfer your higher rate balances during the first 60 days your account is open, you can save with a $0 balance transfer fee. After the first 60 days, the ongoing balance transfer fee is $5 or 5% of the amount of each transfer, whichever is greater. Chase Slate® features Chase Blueprint. Chase Freedom is a cash back credit card which offers up to 5% cash back rewards in rotating categories for purchases such as at gasoline stations, restaurants and more, subject to quarterly enrollment and maximum in combined purchases each quarter. These categories rotate every 3 months. All purchases not in the 5% rotating category earn 1% cash back. In addition this card offers a 0% introductory APR for 15 months on purchases and balance transfers. Chase Freedom features Chase Blueprint. Ink Cash Business Credit Card is a business cash rewards card. New cardholders can earn a $200 cash back bonus after spending $3, 000 on purchases in the first three months from opening the account. Ink Cash Business Credit Card features Chase Blueprint, which can come in handy for businesses who tend to buy big ticket items. With this business charge card offer you can earn 5x points for each dollar in select business categories, on the first $50, 000 spent in combined purchases at office supply stores and on cellular phone, landline, internet and cable TV services each account anniversary year. New cardholders, after spending $5, 000 in the first three months from account opening, can earn 50, 000 bonus points. When it comes right down to it, these are things you could probably figure out and plan for using some simple math, but it can be helpful since these tools are ready for you to use (especially for those of you who are less inclined to pull out your budget and do some planning). 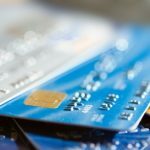 And if you’re spending a lot of time trying to figure out how you are going to pay down a large amount of debt, you may also want to consider whether you are using credit cards responsibly. Je suis vieille de trente-cinq berges , je n’ai pas de problème à ce sujet . je suis actuellement des études de hôtesse de l’air . il apparaît que je suis très cool. It’s the little changes that will make the most important changes. Thanks a lot for sharing! It’s not my first time to pay a quick visit this website, i am browsing this web page dailly and get nice information from here all the time. Prise en main de la dépannage de porte et de serrure avec des professionnels partout en Ile-de-France grâce à depannagefrance. J’ai 31A j’assume totalement mon age ! Ce que je fais : ingénieur . Je suis plutôt d’un caractère timide. Un sourire eblouissant ça se rencontre. Votre dentiste est apte a se transformer en un pur magicien. il est propose de prendre des therapies esthetique dentaire 93. A l’aide des facettes, on penetre dans le sphere de la chirurgie esthetique. recommande une meditation et le cout est assez logique. fixe sur les dents et masquent les irregularites, comme les dents felees. Les techniques et technologies existants ne s’arrete de de s’etendre tout en respectant votre dentition. Je suis agée de 34 années ! Mon travail est administrateur judiciaire ! il apparaît que je suis timide. Je suis agée de 42 ans ! idéal afin de saisir des prêts à porter XXL pour femmes rondes. chemisiers, manteaux, sacs et accessoires. Boutique en ligne pour femmes rondes à coûts interessants. Livraison gratuite à domicile à partir de 250 euros, paiement par cartes. I think a Chase Sapphire Preferred is much better due to the beneficial dividends it yields annually. You can be a very long term cardholder, making all your payments (even just the minimums – and making them $$$$$) and they will NEVER EVER lower your interest rates. In fact, they will jack it up so high so quickly you may not even notice! Pay attention. Some companies out there will assist a long term customer, but NEVER Chase. I agree COMPLETELY w/previous posters, WATCH YOUR STATEMENTS, be wary, they will do anything and everything they can to screw up your credit and charge off your debts…choose another company if you can. I have never had another brand do anything in the same way Chase has and I will spread this word to everyone that will listen, in hopes I cost them. My credit card burned in a fire. How do I get it replaced? Regarding Chase cards – PLEASE read the contract very carefully. You will be VERY surprised at what you are allowing them to do by signing it. Ditto to T Roberts comment about Chase!!!! I would like to find a card to replace Chase but a little skidish. Not sure if the new card would do the same thing. Fairydust, you just have to call Chase and ask or email them. I have Chase Freedom Visa and Chase Freedom MC. I wanted to convert the Visa to another MC, but Chase cannot do it. They said these are two different providers. However, Chase offered to let me convert my Chase Freedom to Sapphire or Slate. My Freedom has better rewards points than the two latter cards, so I declined. Chase Bank, If you follow the rules and pay your balance, They’ll bend you over. 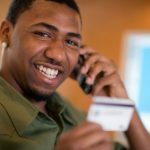 Chase Banks unethical lowering of credit and damage to credit score of people who should be rewarded for being responsible but instead are punished. I have excellent credit and I’ve felt the tender mercies of the “bailed out” Chase Bank up close and person. From the outsourced pod person you might reach after hitting buttons 30 minutes to the thief CEO and President of this whorish bank. I wouldn’t walk three feet to a water hose if any of these bastards were on fire. The Chase Freedom card looks like a great way to supplement 5% from the Discover category. I’m a little peeved at the very low caps for Discover More categories ($200 limit for 5% back on Groceries this month) and will probably look into the Chase card or AMEX Blue Cash in the next few months. Has anyone had any luck switching types of cards within one cc company? For example, I currently have a Chase Starbucks Duetto card, which I’ve been informed is going away as Starbucks and Chase are parting ways. So I’ll get a Starbucks gift card with whatever my rewards are at that moment and the Chase card will turn into a “regular” rewards cc with a 1% point rewards system. I am tempted to call Chase and ask if I can switch to, say, the Freedom card without having to close the one and then apply/open a new cc acct. Do they do that sort of thing? I never pay interest because I always pay in full a day before payment is due. As soon as my closing date arrives, I schedule payment online for the due date and keep copy of the receipt in my folder. Been doing this for many years and never had any problems. Never paid any annual fees on Chase and never paid a penny in interest. They can raise my APY anytime, but if I pay in full each month, I really don’t care. One warning about dealing with Chase: you have to watch your statements very carefully. In January last year I received notice that the interest rate on my Chase business card was going to almost double. I called Chase and cancelled the account, payment to be made at my current interest rate. In July I received notice that the interest rate on the (closed) card was going up six more points. I called Chase, and the csr told me to ignore the letter – it didn’t apply to me. Lo and behold, two months later when I received my statement, the interest rate had risen to the rate they’d indicated in July! Once again, I called Chase to check this out. The csr I spoke with said I had to pay the rate since I hadn’t opted out of the second notice. I was outraged, to say the least. I told him there was no way I’d pay an increased rate on a closed card, and I didn’t care what Chase did to my credit rating. I told the csr I would only pay what I owed, with no interest at all, if they didn’t clear this up. Within the week I received a letter that included an apology and confirmation (yay! written confirmation!) that my interest would stay at the rate it was when I opened the account. People have to watch these companies! Anthony: Good question. Perhaps we’ll do a roundup of the best cards once we get through more issuers. Also, Chase issues both Visa and Mastercard credit cards. Also, my biggest worry is having a Chase card that is not accepted somewhere, while PenFed has Visas, which is accepted nearly everywhere. @Nickel: Do you plan on doing an apples-to-apples comparison of these cards? I’ve been very happy with my Simmons First Visa. No annual fee, no rewards, just the lowest rate card available in the US (7.25% variable). The _penalty_ rate on the Simmons card (16.25%) is lower than the “Premium” rate on those Chase cards (22%) – lol.